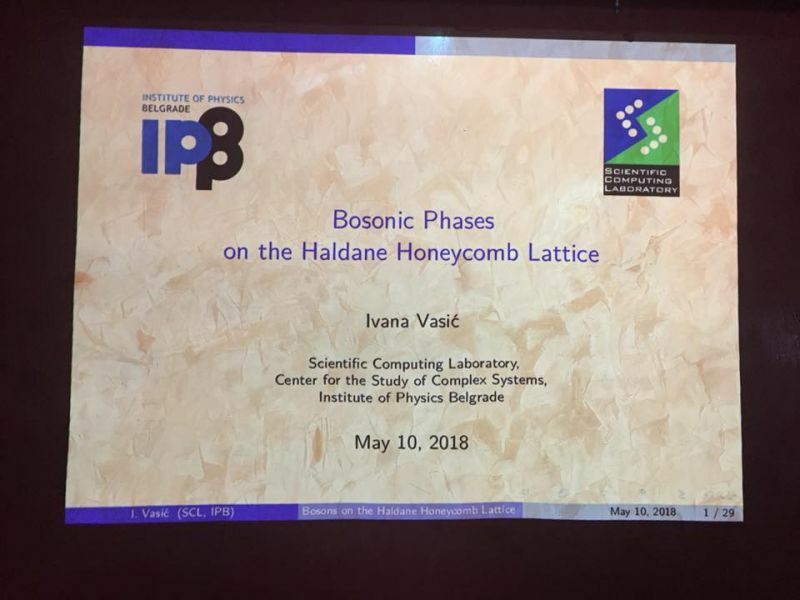 "Bosonic phases on the Haldane honeycomb lattice"
will be given by Dr. Ivana Vasić (Scientific Computing Laboratory, Center for the Study of Complex Systems, Institute of Physics Belgrade). 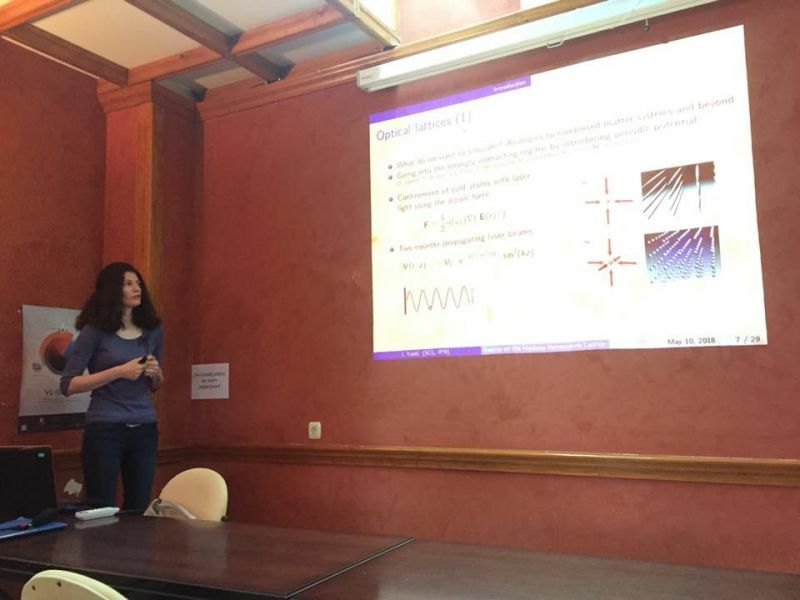 Cold atoms are highly controllable quantum systems, often considered as an ideal platform for quantum simulations. 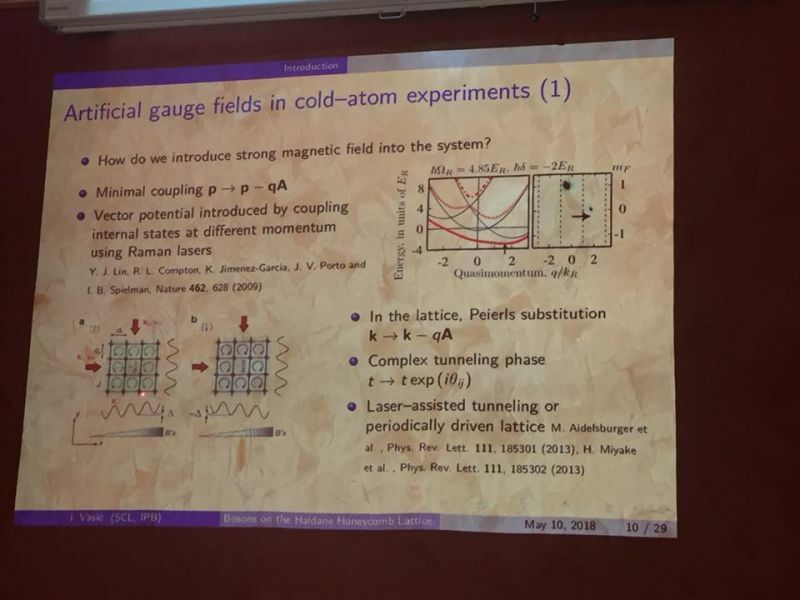 Recent realization of artificial gauge potentials in cold atomic systems has led to the significant progress in this direction. 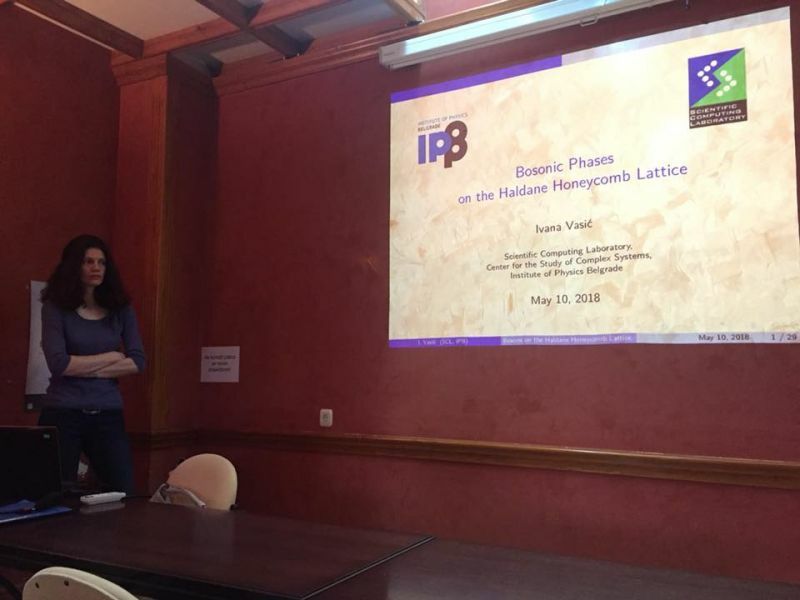 Key models of condensed matter physics, the Harper-Hofstadter and Haldane model on the honeycomb lattice, are now available in cold-atom setups . 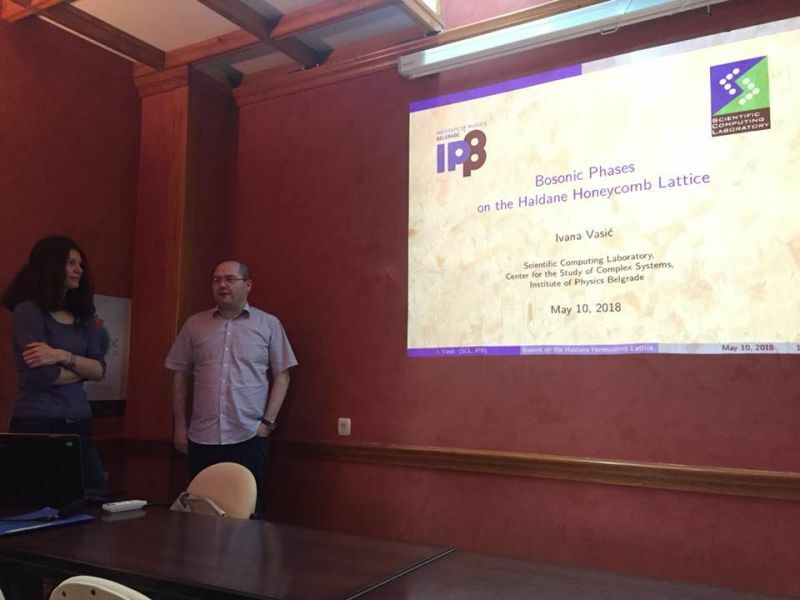 In this talk, we will address bosonic phases of the two closely related models on the honeycomb lattice: the Haldane-Hubbard and the Kane-Mele-Hubbard (KMH) model. 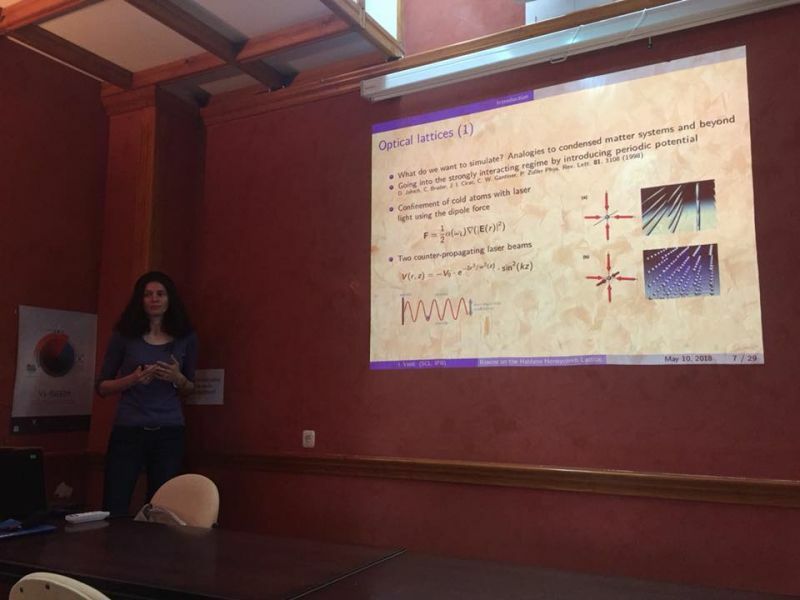 We will consider regime of weak interactions, where we will find competing superfluid and chiral superfluid state, as well as a regime of strong interactions that stabilize the Mott insulator state. 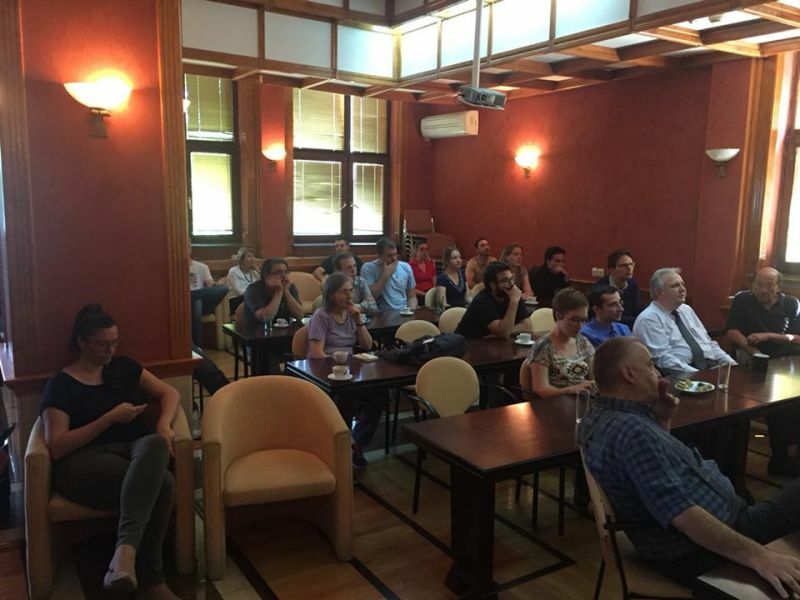 We will discuss experimental fingerprints of these different states: local density fluctuations, bond currents and low-lying excitations . 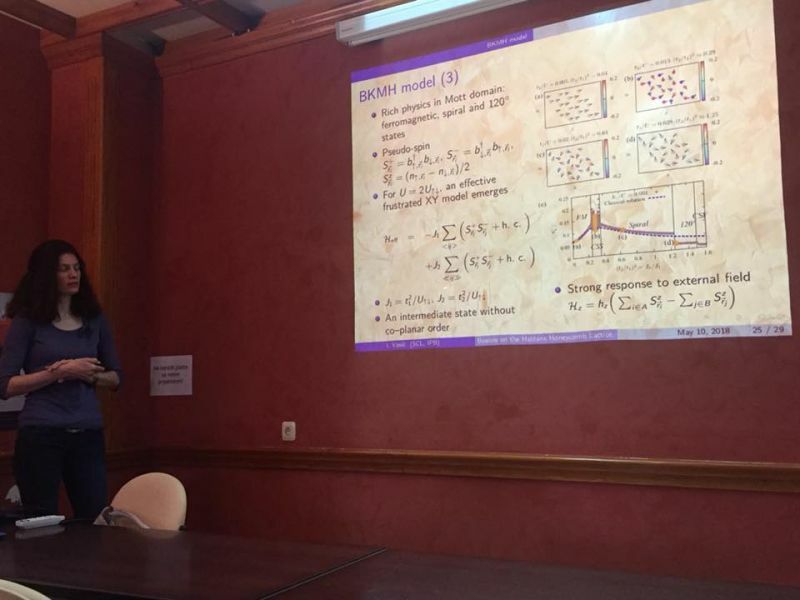 Our results for the KMH model show that in a certain parameter range the properties of the bosonic Mott state can be described by an effective frustrated XY model. This model has attracted a lot of attention recently and we will point out that in the intermediate frustration regime it gives rise to an emergent chiral spin state . N. R. Cooper, J. Dalibard, and I. 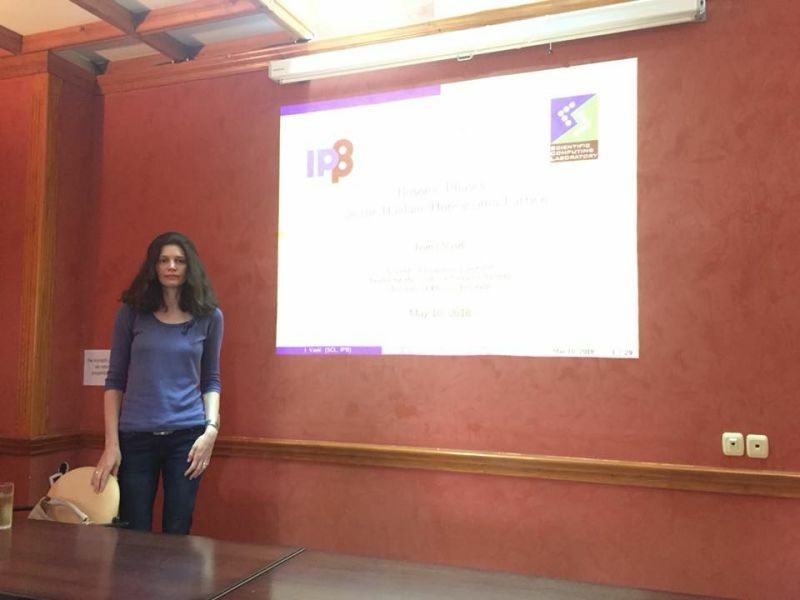 B. Spielman, arXiv:1803.00249 (2018). 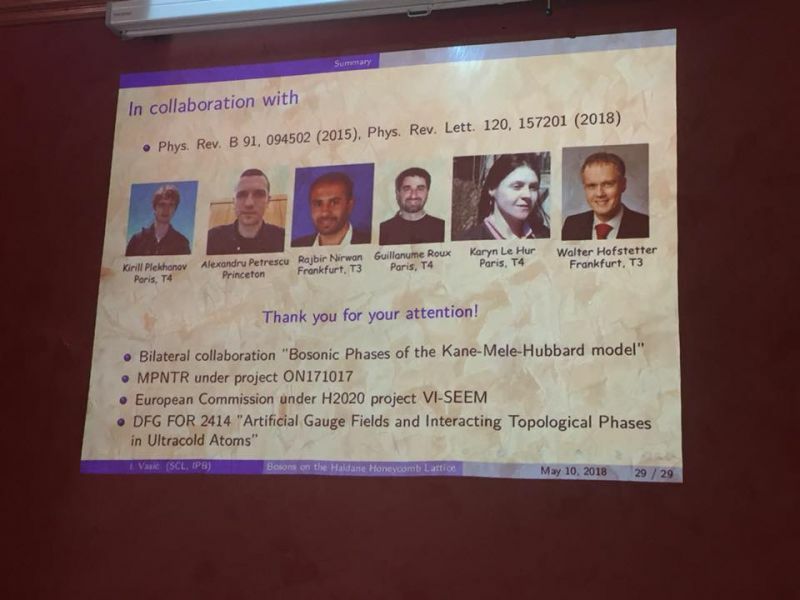 I. Vasić, A. Petrescu, K. Le Hur, and W. Hofstetter, Phys. Rev. B 91, 094502 (2015). K. Plekhanov, I. Vasić, A. Petrescu et al., Phys. Rev. Lett. 120, 157201 (2018).